The necessary first aid requirements for working in childcare were completed by nine students from the YES Centre in week 11 of Term 1. 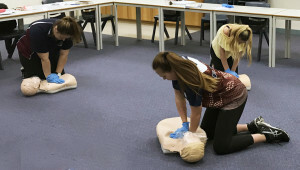 The Year 11 and 12 students completed the two-day course at Port Augusta TAFE as part of their Certificate III in Early Childhood Education and Care. 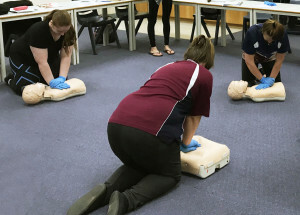 Over the two days the students completed HLTAID001 – Provide CPR, HLTAID002 – Provide Basic Emergency Life Support, HLTAID003 – Provide First Aid and HLTAID004 – Provide emergency Response in an Education and Care Setting. Students who completed the training were Shylah, Natasha, Zali, Amelia, Kasey, Macacia, Bonney, Zara and Emily.